Certainly, Michael Kelsey will be known in the annals of the Doom community for Return to Phobos, an episode immortalized in Doomworld's Top 100 WADs. 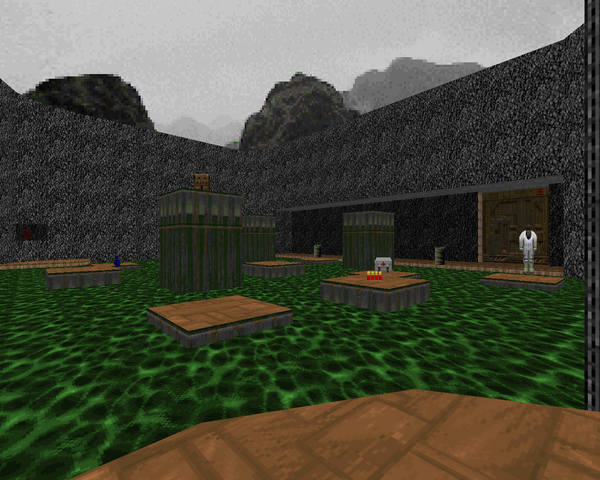 A lesser known fact – Kelsey is the author of what's generally regarded as the first "serious" Doom map. Sure, there's ORIGWAD or a number of editing demonstrations, but STONES is a pretty dense level, considering what was knocking around at the time. He published it back in March of '94, a pretty important time for fans of Doom. It's an E1M1 replacement that's short, clocking in at around 50 monsters, but fairly intricate. Which is pretty characteristic of his RETURN episode. You can bail out of the map pretty early only having seen maybe half of the level, and only one-quarter of the residing monsters. 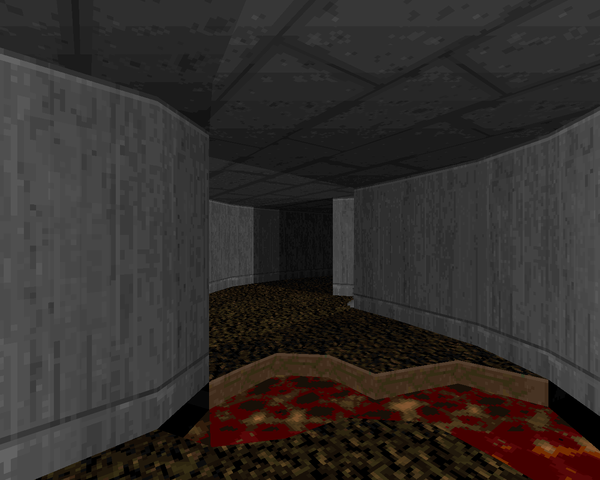 But there's clearly a red key in the final room (which borrows a hook from Doom's E1M9). Where does it go? To be honest, the hidden path to the southern section threw me at first, but I found it and was greeted by a veritable swarm of monsters, including three cacodemons. Of course, you won't be short for ammo – Kelsey stuck a shotgun and two shell boxes on the road so you're not terribly outgunned. As far as aesthetics go, it's what can be expected. 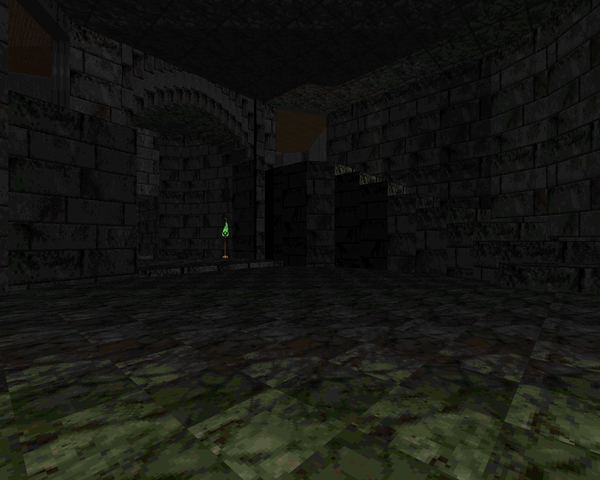 Virtually zero texture alignment, which downplays the neat arch he has going on in the red door annex. It's also a mix of themes, both tech and marble. Again, kind of a progenitor for his later work. About the most interesting section is the secret southern tunnel due to its lighting and that little lava trench. For the standout encounter, definitely the first peek into the red key door courtyard. The bunch of gasbags actually pushed me back a little bit; the monster concentration in the northern area is much less intense. 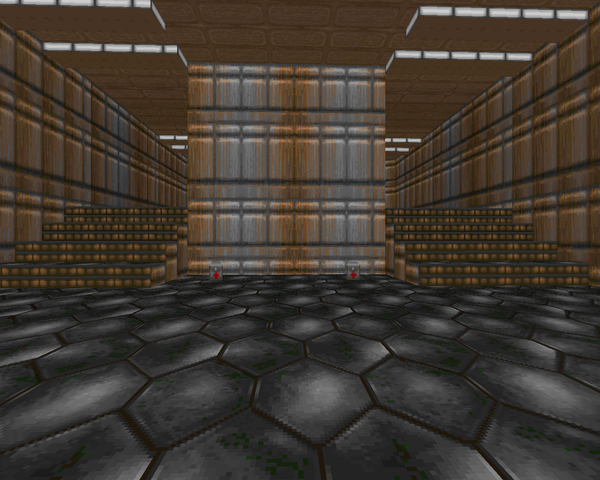 Certainly, you could play much better levels for the original Doom than STONES. Still, it's an important point in Doom's PWAD history, and it doesn't play half bad unless you despise Kelsey's brand of mapmaking, which is more exploration than straight up action. I can think of worse things that have been done with Doom level editors. It's small enough that you shouldn't regret a playthrough, regardless. Oh wow... I remember playing this sometime back in '08 or '09, before I started mapping. I had this thing about playing wads in chronological order for a while (a habit that has been severely kicked). That archway always stood out for how early it was made, alignment be damned! Thanks for reviewing this map and reminding me that it exists.